Innovation Pitchfest is one of the most rewarding projects I have ever created and had the pleasure seeing to fruition! 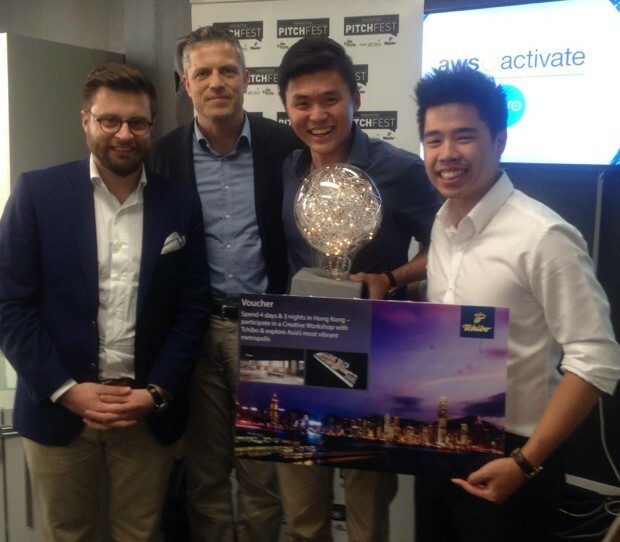 Winners of the inaugural event were the ecstatic Orbitkey creators Charles Ng & Rex Kuo, worthy winners and the crowd favourites! Pictured here with Tchibo executives, Bastian Grafe and Andreas Kulenkampf. I have the pleasure of working with Reed Gift Fairs and innovating Trade Fairs and exploring opportunities to support exhibitors and retail in general. So when I met Tchibo Creative Sourcing & Cooperation Director Bastian Grafe at the August 2014 Reed Gift Fairs, proposing the concept of Innovation Pitchfest was obvious to me! Reed Exhibitions are the largest trade fair company in the world; their 2 gift and homeware fairs: Reed Gift Fairs and Life Instyle are the most visited shows in Australia. Tchibo Germany are one of Europe’s largest privately owned retailers AND have an extensive high quality manufacturing options in Asia. They are interested in Australian designers and supporting the industry through access to their manufacturing. I am a Retail Strategist who has been an avid supporter of great retailers and exhibitors and have been looking for manufacturing options and partners who will support and develop the industry. WHAT A PERFECT STORM!! Together we put on the inaugural Innovation Pitchfest after the Sydney Gift Fairs in February 2015. We had so many fabulous entries and had a hard time picking the Top 20! The Top 20 arrived bright and early at Fishburners, Australia’s largest co-working space, in Sydney on 25 February 2015. 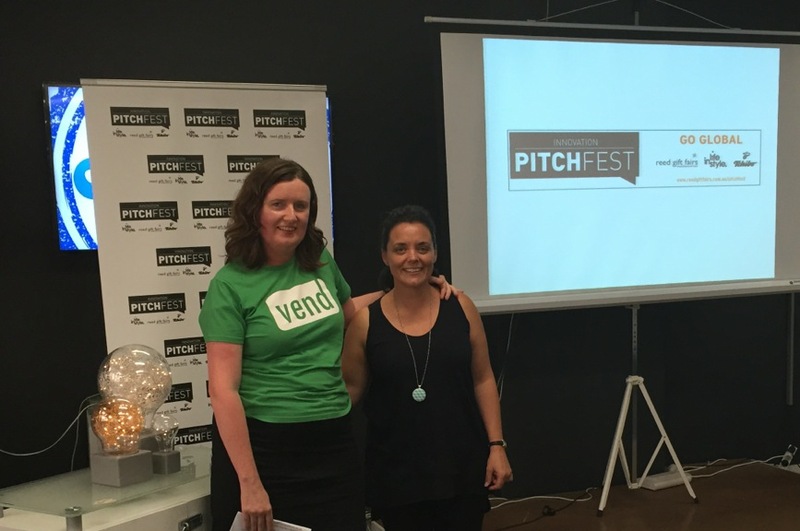 Congratulations to Little Urban Farmers’ Hanging Garden, not only did Michelle win 2nd place in the Pitchfest, she took out the People’s Choice Award sponsored by Vend!! Vend displayed the Top 20 at the Reed Gift Fairs and visitors were invited to vote on their favourite item. They then selected one lucky voter to win Free 12 months of Vend – congratulations to Anna Rhodes, owner of McLaren Unvaled in SA. As the winners, Orbitkey got to visit the Tchibo Team in Hong Kong, more on that shortly! Thank you to everyone who was part of this fabulous event! !